Alameda may soon become the fifth county in California to ban fracking and other "extreme oil and gas extraction" measures, according to a proposed new ordinance that the board of supervisors is set to vote on at its July 19 meeting. The count would join the likes of conservative Butte County, where 72 percent voted "yes" on last month's ballot measure to also ban fracking. Butte joined San Benito, Santa Cruz, and Mendocino as no-fracking counties. The movement to ban fracking adopted this county-by-county strategy "because we've seen the failure of Gov. [Jerry] Brown's administration to protect Californians from the dangers of fracking," explained Ella Teevan of Food and Water Watch. Activists learned from a similar, successful strategy that was used in New York State, where the governor banned fracking statewide after 200 local bans were passed, activist Mary Hsia-Coron explained. Environmentalists say bans on fracking are one of the policies needed to accelerate a switch from fossil fuels to clean energy sources. Wenonah Hauter, the executive director of Food and Water Watch, said that, as a young activist in the seventies, she thought the market would quickly replace fossil fuels with renewables. "It was rather naive" to think this, she reflected. Now, Hauter has written a book, Frackopoly, about what occurred instead: The oil and gas industry rewrote federal laws to promote fracking and became a monster of wealth and power. Last month, Hauter told an audience at Book Passage in San Francisco that the market is not going to prevent catastrophic climate change. "It's going to have to be policy," she argued. "We're going to have to fight to keep fossil fuels in the ground." She added that she was optimistic, "because there is a real movement to ban fracking." Sierra Club activist and Don't Frack Alameda coalition member Rebecca Franke agreed, and said that she's "feeling good" about the upcoming county vote. The planning commission already unanimously approved the new fracking rules. E&B Natural Resources, the only oil-drilling company operating in the county, dropped its opposition when the ordinance was amended to allow the company to continue to use a method called "water flooding" to flush the last bits of oil out of their wells. Environmentalists are unhappy with this amendment but, Franke said, "overall [the ordinance] is very tough." E&B, along with fossil-fuel industry group Californians for Energy Independence, raised objections that delayed the adoption of the ordinance for two years. But environmentalists in Alameda County, where no fracking takes place or is planned, have not faced the kind of all-out opposition that, say, the anti-fracking campaign in Monterey County is going up against. "Monterey is the fourth-largest oil producing county in the state," with more than 1,200 oil and gas wells, said Hsia-Coron. According to The San Jose Mercury News, none of these wells currently employs fracking, but Hsia-Coron pointed out that many use "high-intensity steam injection," another of the "extreme extraction" methods the Alameda ordinance would ban. In the campaign to keep the Monterey fracking-ban measure off the November ballot, Hsia-Coron said the oil industry "aired a lot of TV ads before we even started collecting signatures." Michael Pauker of Food and Water Watch said "Big Oil is expected to spend millions of dollars fighting the measure" in that county. In addition to fracking bans, Teevan of Food and Water Watch said activists are also working in places such as Los Angeles County to stop neighborhood oil drilling, because "there's no buffer zone between oil wells and schools or homes. "We're also working to shut down Aliso Canyon," the site of a massive four-month leak of methane last fall, he explained. The disaster at Aliso Canyon increased awareness of the dangers of methane, a greenhouse gas 84 times as powerful as carbon dioxide. Methane is the main ingredient in natural gas, and several studies have shown that leaks from fracking and other natural-gas operations have caused a big spike in methane emissions during the last decade. Concerns about methane is one reason a majority of Americans now oppose fracking. 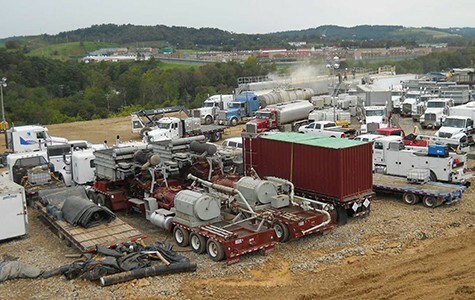 Other studies have confirmed that fracking increases earthquake activity. And the state of California's 2015 environmental review of fracking found that it caused serious increases in toxic air pollution, greenhouse-gas emissions, and the risk of accidents. 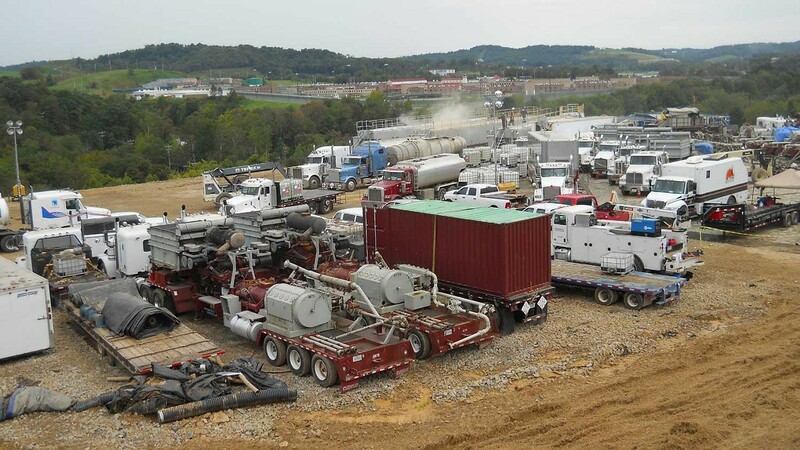 A Stanford University study released in April added to widespread reports that fracking causes water contamination and increased rates of illness near sites. Although fracking is not currently planned in Alameda County, Sierra Club activist Franke said the Monterey Shale oil and gas deposits extend under the ground in the region. She fears that, if the industry overcomes the technical barriers to drilling the Monterey Shale, fracking could be a real threat. "We want to prevent Alameda County from ever having to play host to these toxic chemicals," she said.